Location is always the key factor for any property, with this fabulous family house featuring the most convenient location in all of Phuket. Situated in the luxurious Boat Lagoon development, this new, stylish and comfortable family villa is easily accessible to everywhere on the island within minutes. 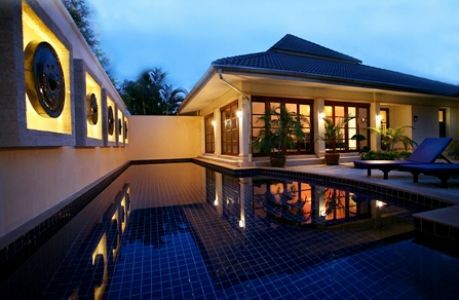 Less than 10 minutes drive to Lotus/Tesco, Big C and Central Festival shopping centres, 10 minutes to the bustling nightlife of the city centre of Phuket Town, 15 minutes to Laguna Phuket, 20 minutes to the islands best beaches of Surin, Layan and Naithon, 15 minutes to Loch Palm golf course and just 20 minutes to Phuket International airport. The development of Boat Lagoon is also a fully equipped haven in itself with a Marina, 2 community pools, 2 tennis courts, jogging trails, Boat Lagoon Fitness Centre, 6 restaurants including the award winning fine dining Watermark (Continental Food) and La Taverna (Italian), a Thai food centre, SCB Bank, Thai Massage and Nail Spa, grocery store, 7-11 convenience store, Boat Lagoon Hotel and even Petrol station. The contemporary style family villa was built in 2007 and features modern western construction with both western and Asian style interior furnishings. The fully air-conditioned main house is 3 bedrooms with 3 full bathrooms, plus contains a separated guest house that features a queen sized bed with its own en-suite bathroom. 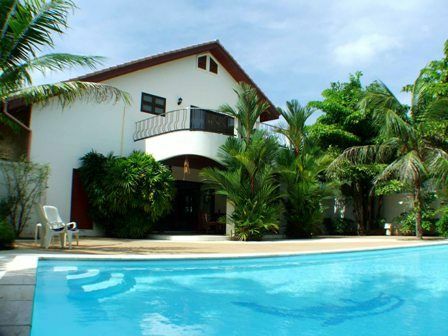 The villa inclusive of the guest house can accommodate up to 6 people, making it a perfect rental for a family vacationing. The property sits in an exclusive, private and lush residential area that is a 2 minute walk to the Boat Lagoon Club House and Bakery.